//WARNING: KISSES DOWN THE ROAD It's been a long time hasn't it! Here's a little something all you peeps out there! I know it's late but HAPPY 2 YEARS! @user-54577450 Glad I’m not the only one, that stuff’s my will to live. sans comforts the listener after a nightmare? No, no, this is good. I like this. 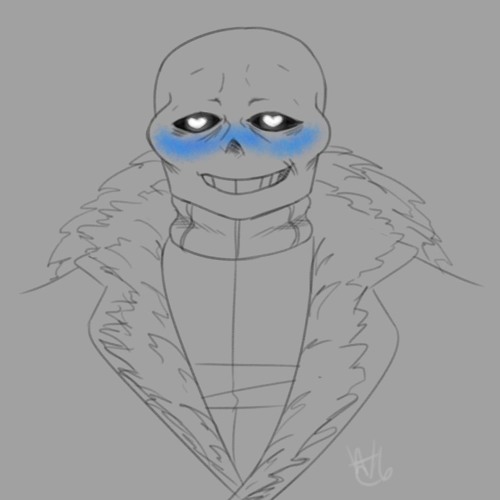 You're a bad liar, and we both know it, Sans. You didn't plan anything past dinner, did you? I can see it in your eye socket. "Cold Feet", "Head over heels", the Bone puns are on point why would I leave! XD I like Sans puns, they always make me smile. @dallas_dog-79697054: When I have the time, motivation/interest and better recording props. It's been like 7 months... When are you gonna upload another audio? Your laugh is the reason that I exist. UWWWAAAAHHHHHH ANCIENTDOODLES I LOVE YOU SO MUCH!!!!!! !